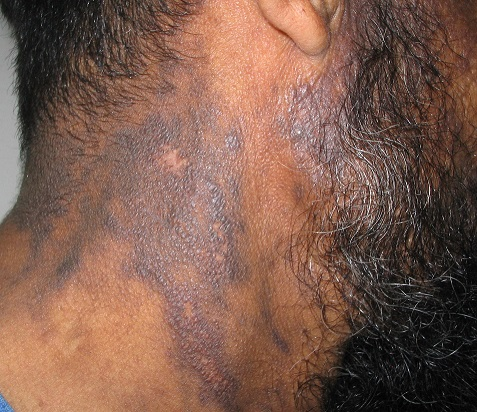 Lichen planus pigmentosus (LPP) is a rare variant of lichen planus (LP), reported in various ethnic groups. It occurs predominantly in female in the third or fourth decade of life, characterized by insidious onset of dark-brown macules in sun exposed areas and flexural folds. The differential diagnosis may occur with drug-induced pigmentation, photosensitization and vitamin deficiency like pellagra. ©Hayat Bourra et al. This is an Open Access article distributed under the terms of the Creative Commons Attribution License (http://creativecommons.org/licenses/by/2.0), which permits unrestricted use, distribution, and reproduction in any medium, provided the original work is properly cited.